On one of of the blog comments, a new mom expressed her concern for the safety of her young child in the event of a disaster. It is bad enough worrying about yourself in an emergency; it is only natural for a new Mom or Dad to have extra concerns about protecting their young children. Make a list of all the essential baby items you use on a daily basis from the minute the baby wakes up until you put him or her to bed. You would be surprised at all the items you use. Once you know what you need go to the next step. Build a three month supply of these commonly used items. Of course you will want to stock up on baby formula, diapers, wipes etc. Buy the next sizes that you can foresee using in three months. Don’t forget to rotate your stock so nothing goes to waste. Stock up on extra water for yourself and your children. Don’t forget you will need water for washing and cooking. Always keep a flashlight next to your bed: in case of an emergency in the middle of the night, and you lose power, you can get up quickly and run to your child’s bedroom. Children outgrow clothes very quickly so you will need a stockpile of clothes in varying sizes. To save on cost, visit consignment stores or thrift stores and buy the next sizes above what your child is using now. Always carry a well-supplied baby bag in the trunk of the car. Include extra clothes, diapers, wipes, snacks, a toy or two for each child. This will come in handy for any minor emergencies, such as a child throwing up in the car, getting stuck in traffic or the child getting fussy. It’s not a bad idea to have a small suitcase that contains extra clothes for each member of the family in the car, to be changed seasonally. 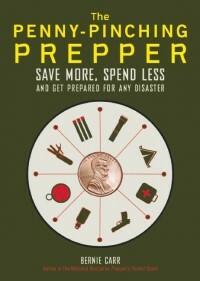 This is in addition to the emergency survival kit that every car should have. 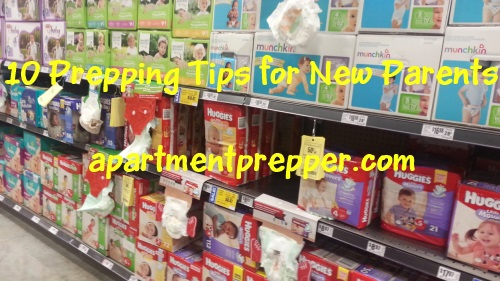 Consider lower cost or home made alternatives to the store bought supplies you are currently using: cloth diapers, homemade baby food, wipes etc. The savings can be substantial. After I discovered how easy it was to make baby food from normal recipes such as spaghetti, chicken and rice soup etc, I cut down on using bottled baby food. Don’t forget to include baby supplies in your go-bag, in case you have to leave your home in an emergency. Include the baby sling and stroller on your way out in case you have to walk out of the city. Keep a list of emergency contacts not only in your cell phone, but also a hard copy, in case your cell phone isn’t working. Build a texting tree in case of emergency. Become familiar with the emergency procedures at your day care center or pre-school. Leave an extra set of clothes, food and prescription medicine at the care giver in case of emergency. 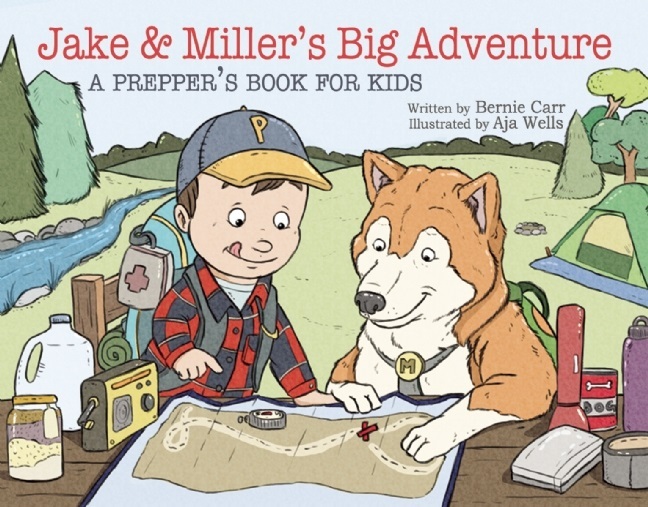 Learn alternate routes to your child’s pre-school, back to your home from the office. New parents have their hands full, and realizing the fragile state of the system does not make it any easier. Taking concrete steps to become more prepared will make you feel more in control of your situation, and you will feel more confident you can handle both small and large emergencies. Hi Lesslie, Yw! These are all great tips-thank you for sharing these! They make stuffed animal with a built in flashlight.This is perfect for the kids whether there is an emergency or not.My two year old grandson always sleeps with his,and just turns it on if he wakes up scared.It seems to calm him.Im sure it would also comfort him to have it with him wear ever he has to go.I also keep a bottle of bubbles around.Whenever he gets upset or has a tantrum,blowing bubbles for him,distracts him,and calms him. Hi Connie, That sounds like a neat toy to have around- it must be really comforting for him. Thanks for the tip!